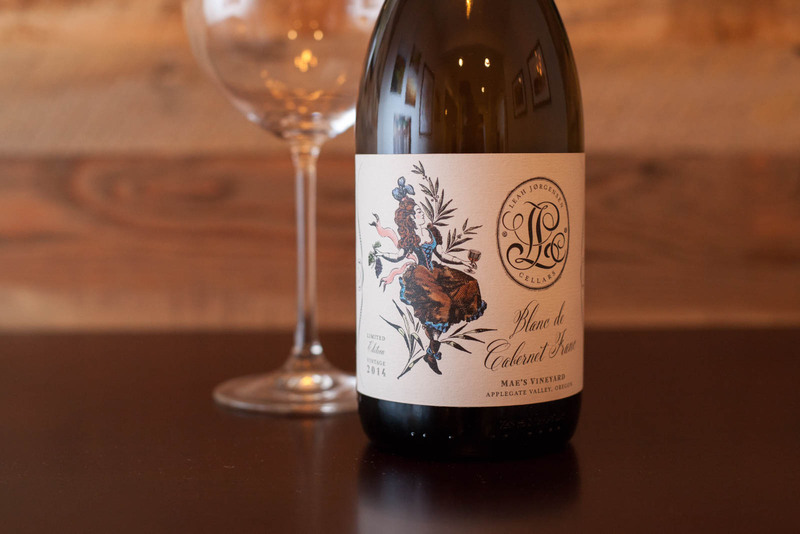 What is Blanc de Cabernet Franc Like? 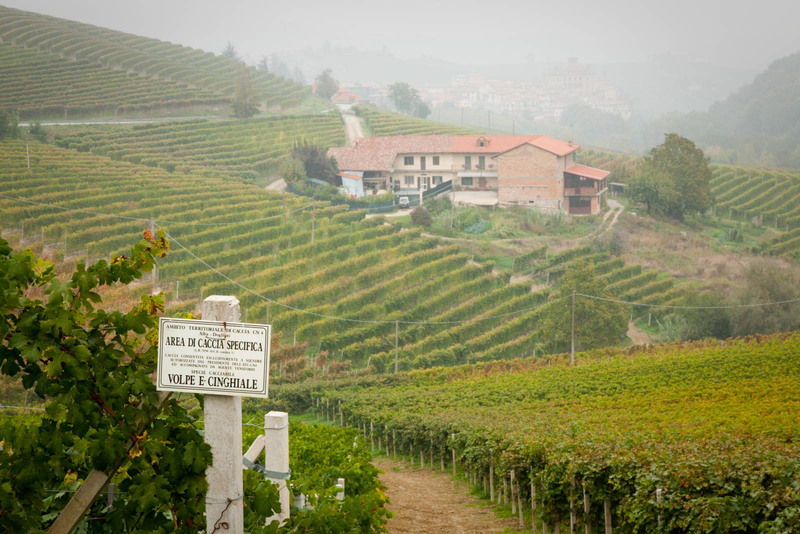 Few landscapes trigger my imagination more than the Langhe Hills of Piedmont, in northwestern Italy. I spent a week there in 2012, and to this day, I remember every inch of ground we covered. At the time, none of the “cru” sites — named vineyards that offer a unique expression based on their soil and exposure — meant anything to me. We simply wandered until we could wander no more, the grayish dust of the clay-limestone soil covering our shoes. And so I have a bottle of Giuseppe Cortese Barbaresco from the Rabajà cru that I’m cellaring, all because of this view that inspired us to pull over. 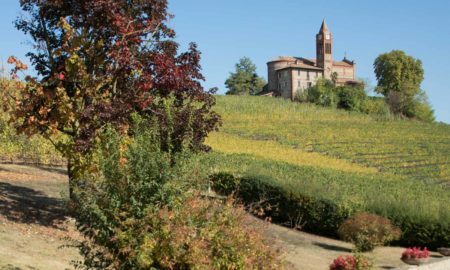 And I recently bought a bottle of Barolo from the Brunate cru for an upcoming wine-tasting party, all because of the gorgeous and colorful chapel that sits just above its rows of vines. If you’ve come to love a wine region because you’ve explored its many pockets — be it Burgundy, Sonoma, Chianti or someplace else — you probably know what I’m talking about. The act of drinking such a wine is an act of nostalgia as much as it is an act of connoisseurship. 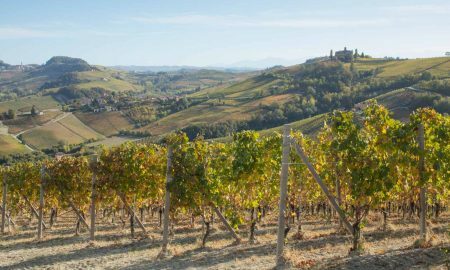 The town of Barolo — while photogenic and compelling in its own right — is merely one of many in the Langhe Hills. As our trip came to an end in 2012, my friends and I made our way south to Monforte d’Alba on word that it was scenically beautiful (it was). Along the way, I insisted we pull over yet again for photos. 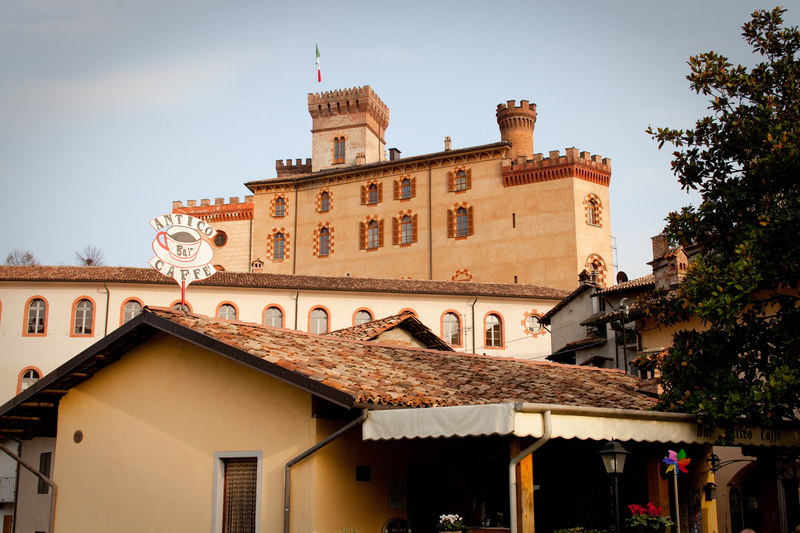 The area’s famous, soup-like fog — the nebbia in Nebbiolo — was swallowing Barolo and its iconic castle to the north and socking in the surrounding hills. 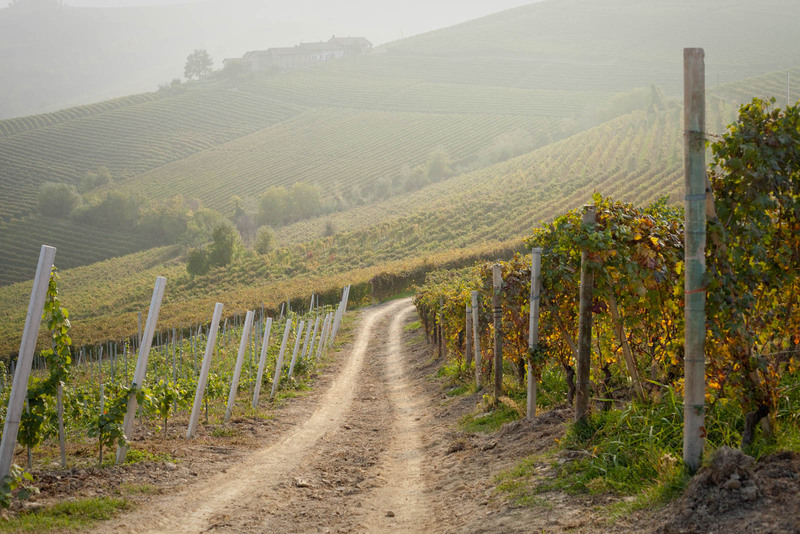 Only the contrast of vineyard rows made the slopes distinguishable. And so I took a shot, and we moved on. 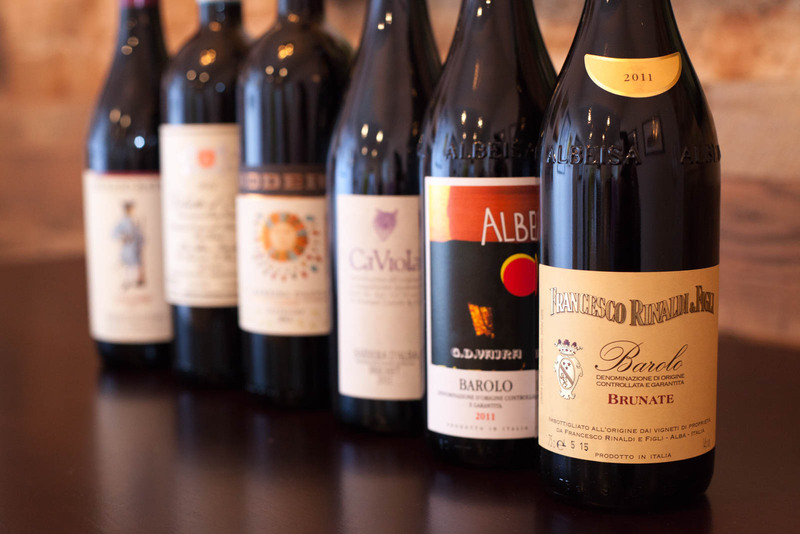 I didn’t know it at the time, but I was in the middle of the Ravera cru, which in recent years has been lauded as one of Barolo’s top sites for complex, powerful, long-lived Nebbiolo wines. 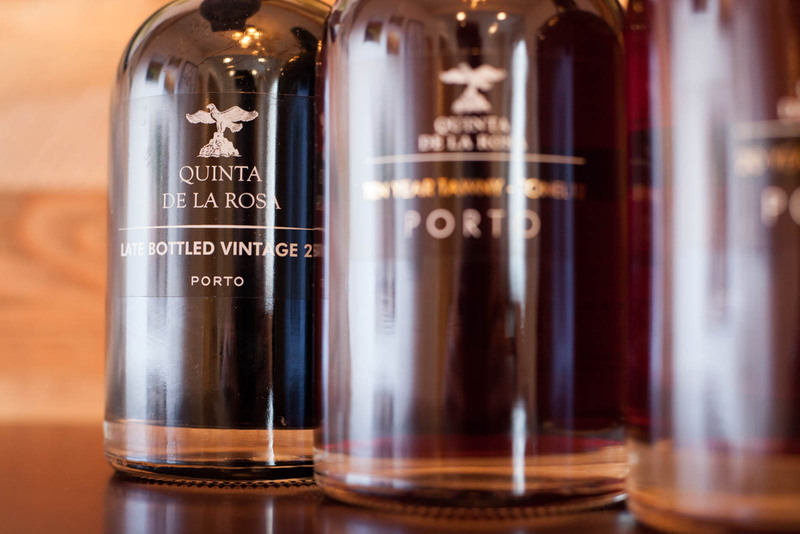 Known for vibrancy, middle-weight depth and rigidity in youth, wines from the Ravera cru should be at the top of your list for cellaring because of the vineyard’s soil, which is made up of clay and sand and is especially rich in iron. This lends the wine a high degree of acidity, more so even than other Barolo. It’s like a time capsule for grape juice — a bottle of Ravera can last seemingly a lifetime. 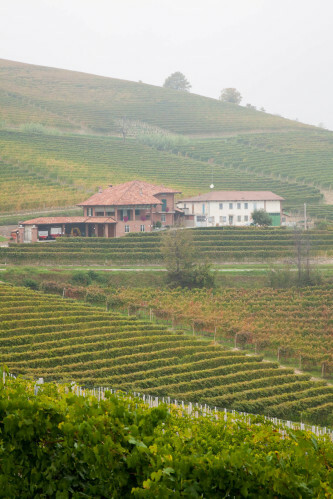 Vietti and G.D. Vajra both bottle a single-vineyard Barolo from Ravera. 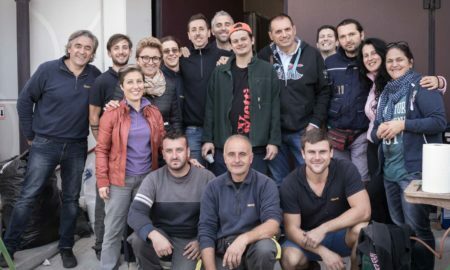 But the cru is most associated with Azienda Agricola Cogno, the winemaking house of Elvio Cogno which is now run by his daughter, Nadia, and her husband Valter Fissore. 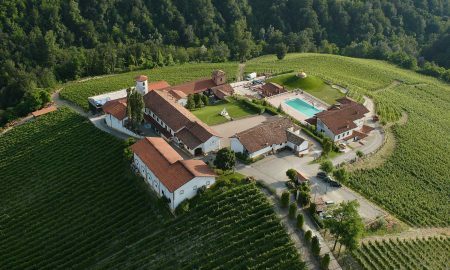 Their facility and cellars are completely surrounded by Ravera, and they offer more than one wine from the vineyard — a single-vineyard bottling simply called “Ravera” and the Barolo Bricco Pernice which comes from a specific plot within the vineyard. Luca Currado of Vietti Wines referred to a young bottle of his Ravera this way: “(it is) like a young man with a lot of muscles in a too-tight jacket.” After sampling the 2011 Elvio Cogno Barolo “Ravera” last week — and then as luck would have it, a couple of sips from Vietti’s Ravera at a wine-tasting event in Denver — I honestly couldn’t say it any better. In youth, this is an austere wine with a lot to say — it’ll just take a few years for it to say “sweet nothings” to you. The first thing I noticed was how far its aromas traveled. I’m beginning to think this is a hallmark of fine Nebbiolo. Many times I have poured a bottle — whether its Barolo, Barbaresco or Valtellina — into a decanter and been immediately struck with its aromas, my nose still a good 16 inches away. Cogno’s Ravera also shined a bit like a gem as it poured. 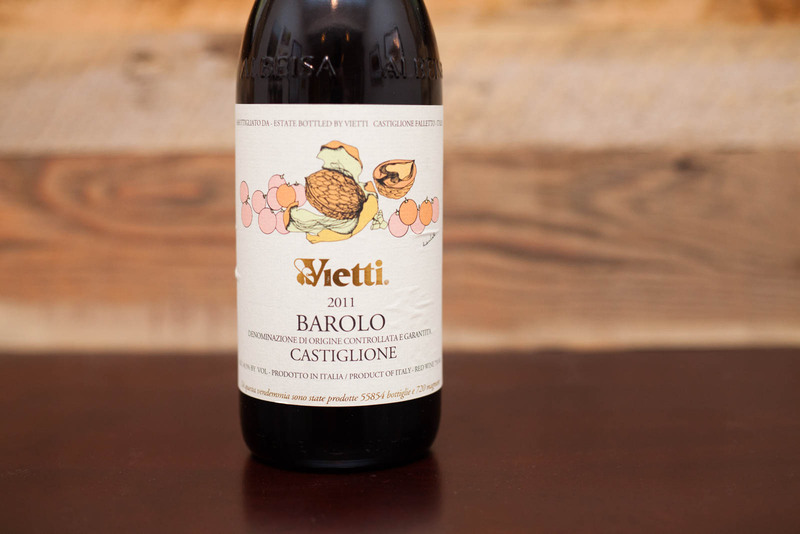 You often here the word “garnet” used to describe a Barolo’s color, and given its clarity, its translucency, and the vibrancy of that hue, that descriptor is not far off. But the lack of thickness in Barolo is also deceptive. This is not a “light” wine. In my rush to get to it, my first few sips packed a hell of a punch — a “furry tongue” feeling of wild tannins run amuck. But even in its youth, and even without ample aeration, this Ravera offered a beautiful experience. There were swirls of fruit and flower and earth, all waiting to be deciphered with each sip. I was reminded of the Bernard Levet Côte-Rôtie from a few weeks ago, not in its aroma or flavor profile or structure, but the sheer wildness of the wine. 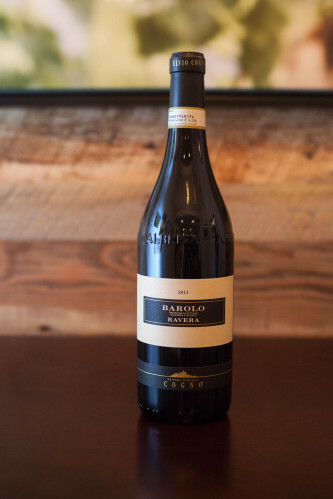 Yes, Barolo is often this way, but the Elvio Cogno Barolo Ravera seemed even more so. Interestingly enough, Vietti’s Ravera comes across the same way. It’s a bit fierce, but wildly colorful in its language. I had a mere “taster’s sip” of it Thursday, and it was a little bit like reading the first page of a Booker Prize-winning book and then putting it back on the shelf. A full bottle, and a good decade in the cellar, would reveal so much more. Elena Currado of Vietti Wines told me that what she loves about Ravera is the view of the Alps from its many rows of vines. Once that soupy fog lifts, you are surrounded on three sides by Europe’s great mountain chain. As much as anything, its those little details that etch themselves into our memory. 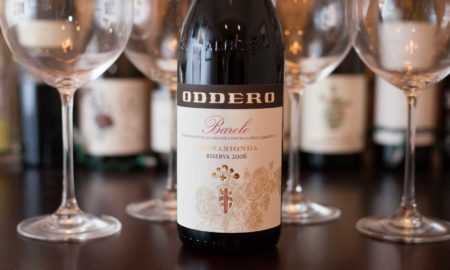 Tasting notes: A classic Barolo with a lot of amplification in its aromas and flavors. Structurally made of steel, but over many years you can expect it to soften and get better and better. Beautiful garnet color. Aromas recall plum, raspberry, rose, mushroom, wet sand, as well as hints of tobacco and violet. Fiercely tannic with a “furry tongue” feeling at first, and quite high in acidity. This is not a sip-on-its-own wine; it demands food. Decant for several hours before serving, or age for 10-plus years. A few more years on this one would probably nudge it into five-star territory for me. Recommended for: Give as a gift to commemorate as a milestone. I would seriously wait at least five years to open the 2011, but if you can get your hands on an older Cogno from Ravera, it ought to show beautifully. Note: The Elvio Cogno Barolo “Ravera” was provided by Wilson Daniels. Learn more about our editorial policy.